Baseball Players’ Wives Prove They’re Angels, Too! 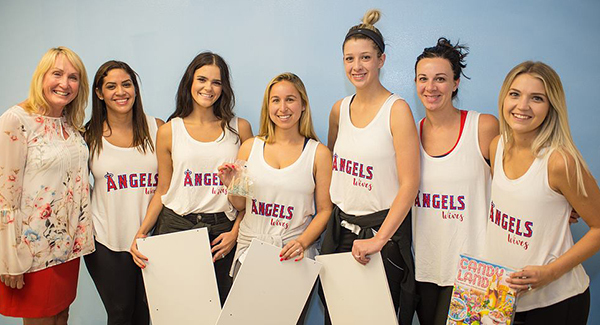 Rhonda Tagge, National Development Director (left), with the team of Angels wives who helped revamp child care rooms for Olive Crest in Orange County. Let’s hear a rousing cheer for the “Angels Wives Team”! These gracious ladies recently came to our office in Orange County and spent hours redecorating our therapy and child care rooms. They did a wonderful job making both spaces feel more homey and cheerful; they will be a blessing for the kids who come here. A special thanks to Mariel Perez for heading up the project, along with all the rest of the Los Angeles Angels wives crew! Thank you for showing that your husbands are not the only Angels in town! Olive Crest Kids Take to the Sea! 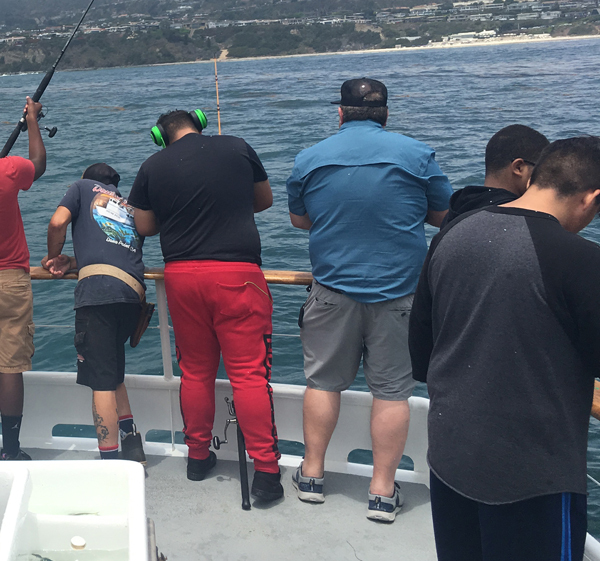 Harbour Rod and Reel Club, a Huntington Harbor-based group whose members encourage the art of angling with rod, reel, and line, recently took a group of Olive Crest kids out on the water for a day of fishing, camaraderie, and fun. The group took off from Dana Point, which for many on board, was a first-time ocean experience. The boys learned basic technique, good sportsmanship, and teamwork from the experienced fishermen, while enjoying the fresh air and exhilaration of reeling in their first catch. Through this outreach, the Road and Reel Club members look forward to giving young people a chance to experience something they are passionate about. At the same time, if they can instill a love for being out on the ocean while teaching the basics of cooperation and conservation, the lessons learned can be life-changing. Teens had fun with makeup donated by Point Hope this past year, along with their generous donation of water bottles, which were given to our kids for school. Everyone supporting the kids and teens at Olive Crest helps transform lives! 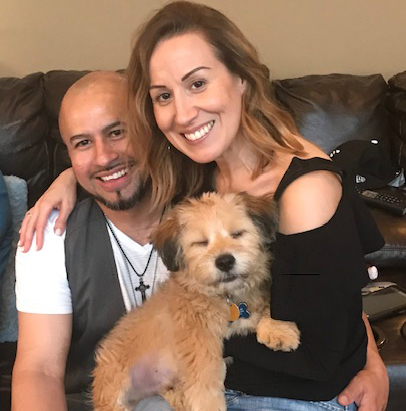 Today, we’d like to send special thanks to Delilah, host of the “Lights Out with Delilah” radio show in the Pacific Northwest, and her foundation, Point Hope, which focuses on foster care. This past year, kids and teens at Olive Crest enjoyed hundreds of makeup donated by Point Hope. Point Hope also donated water bottles that went to our kids as they headed back to school. We are so excited to partner with the fine organizations and people who help benefit the children and teens we serve! All of us at Olive Crest are so grateful for donors like you who put smiles on kids’ faces! We’re giving a special shout-out to Food Finders and Bellflower Brethren Church for their time and generosity. Thanks to these generous folks, Olive Crest families will now have access to free nutritious food on a weekly basis. Food Finders – an organization that links donated food to pantries and shelters in order to bridge the hunger gap in our communities – made the connection with Whole Foods 365 in Long Beach and Sprouts in Lakewood to deliver fresh veggies, fruit, bread, and other basics to all of our programs each week. And in other news, Bellflower Brethren Church provided 10 volunteers to repaint our child care room where little ones can play while their moms and dads are in parenting classes, group support, or counseling. We are so thankful for the blessing of donors like you who give so generously to help kids and families become healthy, productive citizens. Smiles all around! A big thank you to Foodfinders and Bellflower Brethren Church for their time and generosity! Olive Crest families will be provided with food on a weekly basis because Foodfinders connected us with Whole Foods 365 in Long Beach and Sprouts in Lakewood. Basic needs such as food are essential to improving lives! 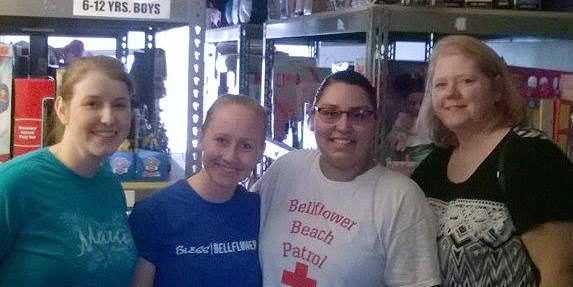 Bellflower Brethren Church provided 10 volunteers, who helped clean our gift room and repaint the child care room. Our child care room is used while parents are in parenting classes, group support, and therapy. An organized workplace makes for comfortable meetings and accomplishing tasks efficiently! We are so thankful for our donors and volunteers—you make a difference in so many lives. Donations and Volunteers Give Teens a Remodeled Group Home! 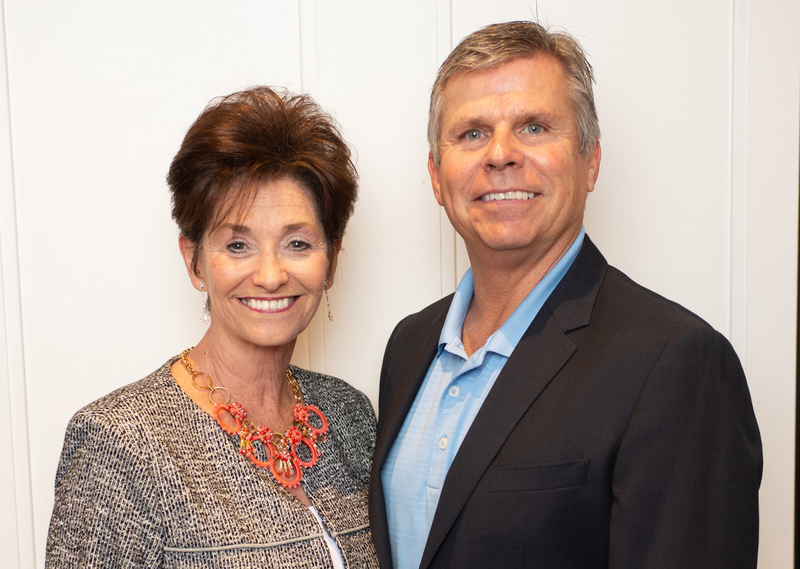 A while back we shared with you that the teens in one of our Orange County group homes would be getting a home makeover, thanks to Michael Sullivan and Associates Law Firm and Impressions Contracting. The renovation has been completed, and it looks fantastic! The updated home now provides a fresh, productive, home-like environment for our kids to live in. It’s quite encouraging to have a clean, refreshed space to live in. Thank you to our very generous donors for making impactful differences in our kids’ lives! Thank You to Our New Mentors in Los Angeles! Young adults at Olive Crest now have five new mentors to teach them independent living skills and help coach them. Right before summer, we had our first mentoring orientation for anyone interested in helping our young adults – and afterward, all five people signed up! What a great way to help end the cycle of abuse, homelessness, and re-entry into the child welfare system. Our kids and teens learn so much from our mentors! If you’d like to be a mentor for young adults at Olive Crest, you can attend an orientation meeting to learn more. Moving forward, each potential mentor is required to complete a two-hour training session. 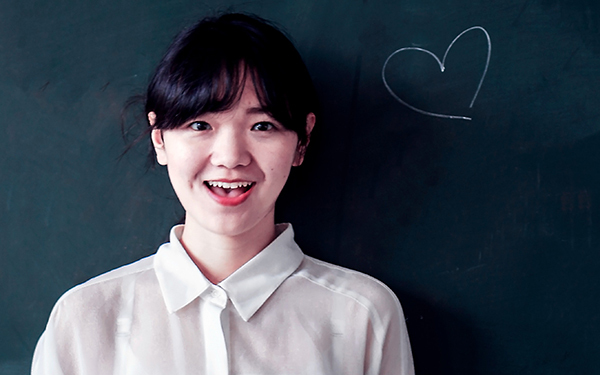 Our staff will provide training and guidance to help you support the vulnerable children and families we serve. For more information, please contact Nick King at nicholas-king@olivecrest.org or 562.866.8956, x1632.